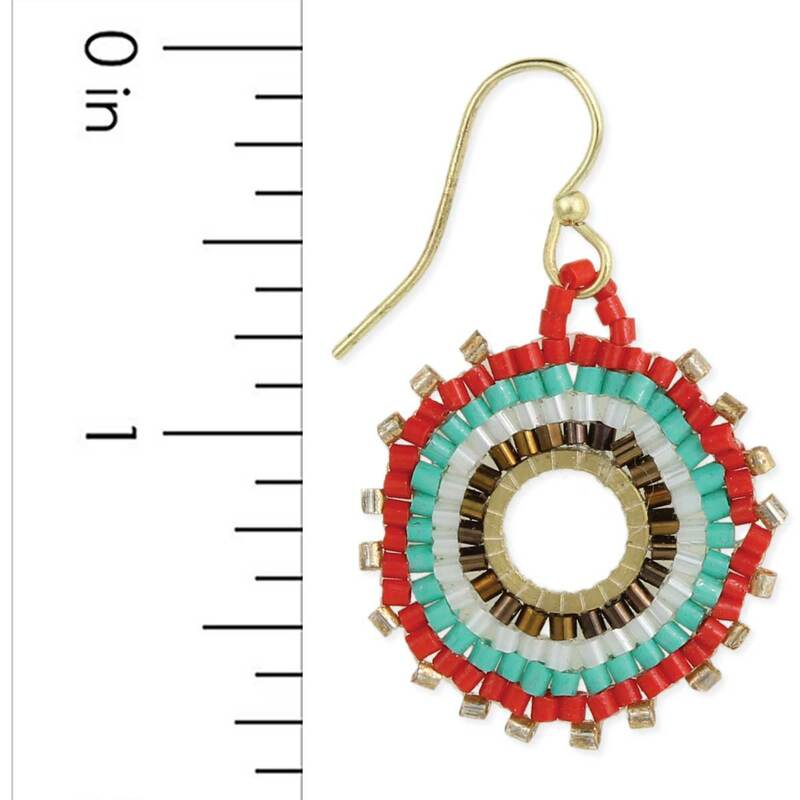 A great earring for a pop of color! These round beaded earrings feature rows of bright beads radiating from the center. 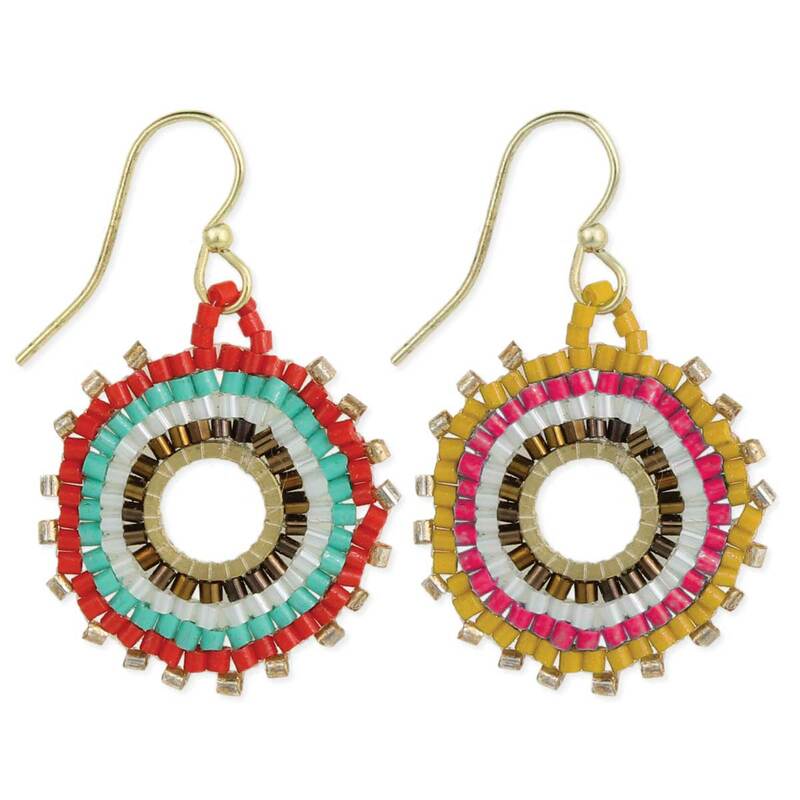 In bold color combinations like red/turquoise and pink/yellow, this southwest design earring is perfect for a bright summer day! Measurements (approx.) 1 3/4" x 3/4"